This is one of the most outstanding 3D-books ever published. 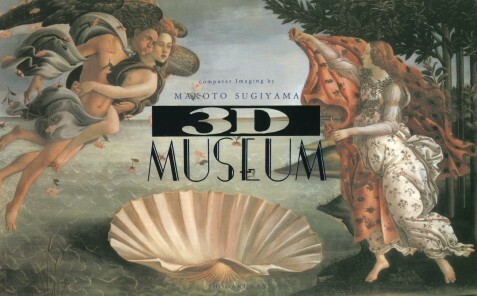 Makoto Sugiyama, a Japanese computer artist, converted 39 of the most famous paintings to 3D. Browsing through the book is like reading a "Who is Who of famous artists": Borticello, da Vinci, Rafaello, Bosch, Brueghel, Arcimboldo, Rubens, Veláquez, Vermeer, Fragonard, Goya, David, Ingres, Manet, Monet, Seurat, van Gogh, Munch, Rousseau, Chagall, Duchamp, de Chirico, Dalí, Magritte. 3D-Museum has 82 superbly printed pages, format 17 x 26,5 cm, hardcover. A very good stereo-viewer is built into the book cover (see illustration on the right hand side). A "must have" for every serious 3D and arts lover - and a wonderful gift! Please do not forget to visit the Stereoscopy.com Bookshop, offering the world's largest selection of books in 3D and about 3D. 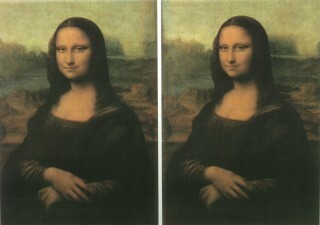 Copyright © 1997 - by Stereoscopy.com and Alexander Klein. All rights reserved.